Mozart’s Clarinet Concerto was written shortly before his death in 1791. It is, in fact, one of his final completed works and his last purely instrumental piece. Interestingly, however, it was not originally written for the clarinet as we know it today. Mozart intended the piece to be played on the basset clarinet, a clarinet with an additional lower range. The basset clarinet, however, was as rarely seen in Mozart’s day as it is today, so shortly after its premiere and after Mozart’s death, it was published with the solo part adapted for the modern clarinet. Sadly, the original manuscript has been lost. Mozart played an enormous role in establishing the clarinet as an orchestra staple. It was relatively new in his time, but he began composing for it as early as 1783. He once wrote to his good friend and clarinet virtuoso Anton Stadler, “Never would I have thought that a clarinet could be capable of imitating the human voice as deceptively as it is imitated by you. Truly your instrument has so soft and lovely a tone that nobody with a heart could resist it.” With such admiration for the instrument’s sound, it’s no wonder he composed the Clarinet Concerto to feature its vast range: the warm woody low register, the smooth middle register, and the bright sound of the high register. The second movement, Adagio, is where the solo part is most prominent and includes the only true cadenza in the entire work. It is a great example of the delicate interplay that can occur between a soloist and an orchestra. It is also a melody made famous by the epic romantic film Out Of Africa where the beauty of the music blends seamlessly with stunning and unforgettable scenes. 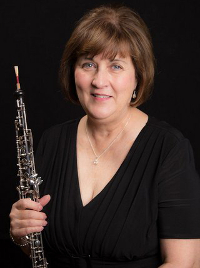 The Parker Symphony Orchestra will be performing the Adagio from Mozart’s Clarinet Concerto featuring our very own Mary Nichols on the clarinet. She has been with the PSO for 7 1/2 years and, sadly, this will be her final performance with us (so don’t miss it!). 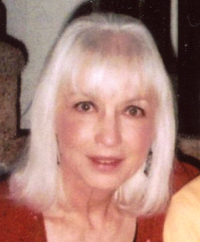 Mary has a Bachelor of Music and a Master of Education from the University of Missouri-Columbia. 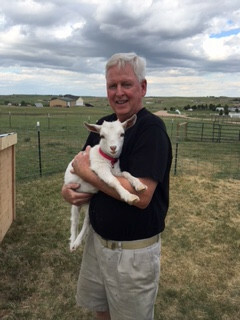 She taught music, drama, band, jazz band, and choir for 32 years both in Missouri and in Colorado and currently teaches clarinet and flute in Englewood and Lone Tree. I recently had the chance to learn more about Mary, her life, and her music and want to share the highlights here with you. How did you get your start in music and with the clarinet? I started in 5th grade band in Macon, Missouri. I do not know why I chose clarinet, except that I played the tonette in 4th grade. Yes, I play many. 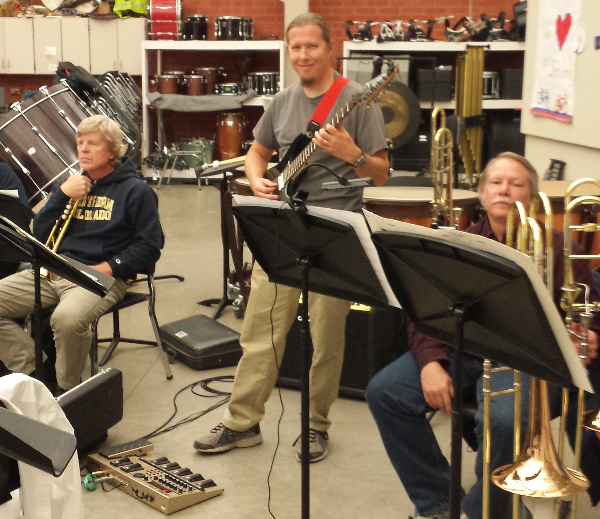 When studying to be a band teacher, I was required to take private lessons on all of the instruments. Flute is my secondary instrument. While in college, I studied clarinet with Richard Hills (student of Himie Voxman), and Bob Luyben (the inventor of the Luyben ligature and student of the famous Bonade). Later I studied with George Silfies (first clarinetist with the St. Louis Symphony). While attending the International clarinet conferences, I studied with Leon Russianoff (teacher of Stanley Drucker, NY Phil.) and Ramon Kirellis (D.U). While living in CO, I have studied with Don Ambler and Andy Stevens. 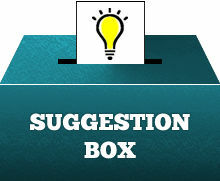 Where have you performed and where do you perform? Groups I have performed with include the Stevens College Orchestra in Columbia, MO, Colorado Christian College, Colorado Clarinet Choir, Colorado Hebrew Choral, Mountain Winds Woodwind Quintet, and many various woodwind ensembles, orchestras, and bands. I am excited about performing with Cheryl’s group, Castlewood Chamber Ensemble, on March 13. Playing the Dvorak Serenade will be very special. 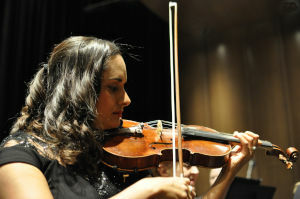 I also play in the Lone Tree Symphony Orchestra as well. 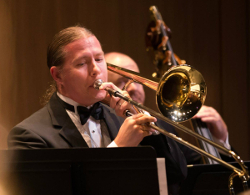 A friend of mine and I play many performances each year for the Symphony Guilds around town. I like many forms of music. I grew up with country music, pop music (Doris Day) and band music (Lawrence Welk). In grade school and high school, I loved to sing. I sang many years in the church choir. When I was in Kindergarten, I was a regular Shirley Temple, always singing and dancing on the stage. As a teenager, I was paid to sing for funerals. I loved classical music, but the only place I heard it was on the radio. I would listen to a Chicago station every night. Today, besides classical, I love to play folk music. What do you like about playing the Mozart Concerto? The piece is enduring. It never gets easier to perform. Every note has to be perfect. Mozart was such a genius to be able to write something so simple yet so difficult to perform well. It is a beautiful piece. I think my proudest moment was when Rene asked me to play in the South Suburban Orchestra. It was always my dream to play in a community orchestra. Rene gave me that opportunity. On a personal note, I think having grandchildren in my life is very important to me. Not having children of my own, I have been fortunate to have wonderful step-children and grandchildren. It makes life fulfilling. I have so many memories, it’s difficult to narrow down to one in particular. I have been fortunate to have taught many students who still play their instruments. Some have become band directors and some are clarinet majors. At present, I have a former student at British Columbia University and one at Harvard. 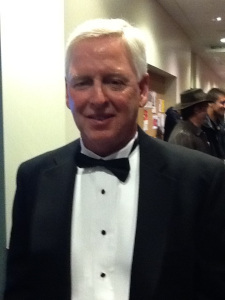 Bil Jackson, the former 1st clarinetist with the Colorado Symphony, studied with me from age 10 – 16. One favorite moment in my life is rather funny. In the 7th grade, my girl friend and I won a talent show playing Clarinet Polka. The performance sponsored by a fox hunting group, was out in a wooded area on a concrete slab. We were so excited to win $25 that we went directly to my band director’s house to tell him. We loved our band director, Gerald Sandbothe. He was a German sax teacher who was a remarkable man. He turned out the best clarinetists in the state of MO. I know this will be your last performance with us. Do you want to share anything else? I would like to thank Rene and all of the members for your love and support. I will miss everyone. It makes me very sad not to see all of you members. I am very excited about our performance on Friday night. Be sure to join us for PSO Goes To the Movies at the PACE Center in Parker, CO on Friday February 26 at 7:30 PM to see Mary’s final performance. Ennio Morricone is certainly among the most celebrated composers of film music with over 500 scores written for cinema and television. While his may not be a household name, it is likely you’ve heard his work in such movies as The Good, the Bad and the Ugly, Once Upon a Time in the West, Cinema Paradiso, In The Line of Fire, The Untouchables, The Hateful Eight, and, of course, The Mission. While he’s worked on over 70 award-winning films, The Mission remains one of his most highly acclaimed soundtracks with an Academy Award nomination, a Golden Globe Award for Best Original Score, and a BAFTA Award for Best Music. The entire soundtrack is an amazing and lyrical blend of orchestral and choral melodies, native drums, and Spanish-influenced guitar, but Gabriel’s Oboe stands out as a truly unforgettable piece that can live on its own. In fact, it is has been arranged, recorded, and performed several times, most notably by cellist Yo-Yo Ma. The Parker Symphony Orchestra will be performing Gabriel’s Oboe in its original instrumentation on Friday with our very own Cheryl Poules playing the beautiful melody on the oboe. Cheryl has been with the PSO as principal oboe for 11 years. She holds a degree in Music Education from Grove City College and Piano pedagogy from Dana School of music. 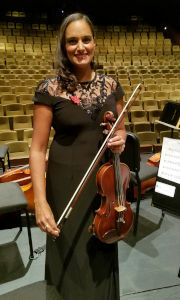 She also plays oboe and English Horn with the Lone Tree Symphony and Denver Concert Band and is the principal oboe with the Mountain Winds Quartet. I recently had the chance to interview Cheryl and ask her more about music, her career, and playing Gabriel’s Oboe. How did you get your start in music and with the oboe? I started on the clarinet in 5th grade band and oboe in 7th grade. I chose oboe because my band director was an oboist and an inspiration. I play and teach both piano and oboe and there are so many pieces I enjoy playing that I don’t think I could pin it down to just one piece. I especially enjoy playing with my quintet, The Mountain Winds…because intonation and dynamics are rarely a problem and we blend well to create very musical performances. What do you enjoy most about playing Gabriel’s Oboe? It’s a beautiful piece that lends itself to my best abilities as an oboist. The slow tempo and passionate melodic line coupled with the lyrical tone makes it a memorable piece. I was interested to learn that this piece has been rewritten for almost every musical instrument, the most famous not being an oboist, but Yo Yo Ma on the cello. Who is your favorite composer and/or your favorite artist? Again, I don’t have a favorite, I love all kinds of music which is why I dedicated my life to music when I was twelve years old and spent most of my life teaching music and performing. I am probably most fond of the Romantic Period. When I lived near Philadelphia we had season tickets to their orchestral performances and they were always exciting. We’ve enjoyed NY Phil performances at Vail several summers as well. Last year’s Tchaikovsky 6th Symphony was exhilarating. When I was in college I performed with Louis Lane (Atlanta Symphony) and Howard Hanson (Eastman School of Music). As principal oboe of the Harrisburg Symphony, we had a concert with Aaron Copland conducting and he was a wonderful person to meet and play for. With the Delaware Symphony, we performed the Brahms Violin concerto with Eugene Fodor which has a wonderful oboe/violin duet in the piece. Is there a piece you haven’t played that you would like the chance to perform at some point? On oboe, I’d love to play Tchaikovsky’s 4th symphony again or his tone poem Hamlet, both of which have lovely oboe solos. I also enjoy playing the English Horn and my two favorites are Russian Christmas Music and, of course, Dvorak’s 9th with the famous English Horn solo. Most of my proudest accomplishments have involved music. There have been numerous performances that I’ve enjoyed participating in. As a teacher of all areas of music from K-12th grade, I enjoyed directing musicals and watching my students evolve into life long musicians. I am saddened that music programs have been eliminated in so many schools as I’ve seen children really find themselves through participation in music programs. Yet I am glad to have had the opportunity to make a difference in so many children’s lives. 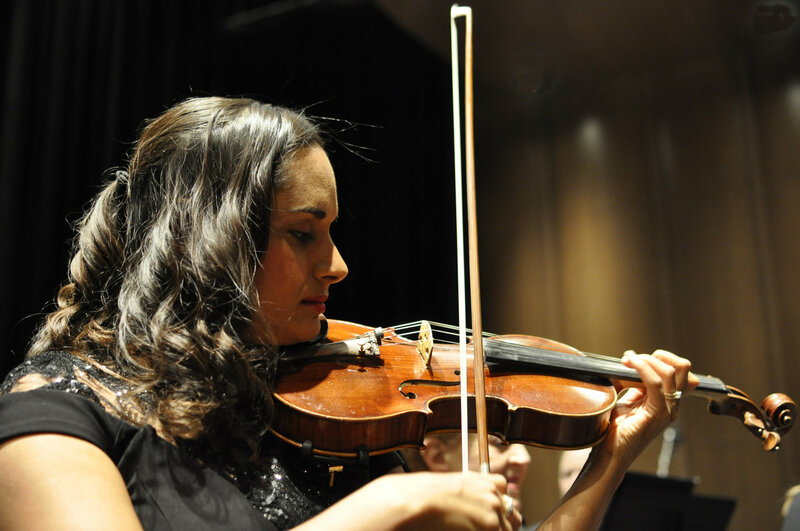 I founded and developed the Douglas County Youth Orchestra and continue to find musical outlets for my talents. What else do you love about playing the oboe? The oboe is a difficult instrument to play and to maintain. I spend about 1/3 of my time making or working on reeds before I even play a note. But I wouldn’t trade it for any other instrument. When I play, I sometimes feel as if I’m sharing my soul, and love the opportunity. I hope that I can continue for years to come. Be sure to join us for PSO Goes To the Movies at the PACE Center in Parker, CO on Friday February 26 at 7:30 PM to see Cheryl’s performance of Gabriel’s Oboe.